PRAYER PROMPT ••• Have you ever had an urge to pray for someone you don’t know? The first time it happened to me, it was for a man at the health food store. No idea why, but God knows. Yesterday, I felt compelled to pray for two women I’ve never met as I was holding their paperwork. To hear God’s calling to pray for a stranger is a powerful thing. He didn’t say some people or just the ones you know. I refuse to get into a political discussion here, but I think it’s an important add-on to remember we’re also supposed to pray for our leaders, including our President, Vice President, Congress, etc. If this is an issue for you, I urge you to read Romans 13:1-14, 1 Peter 2:13-17, and Titus 3:1-2. Getting back on track, when we pray for those we don’t know, it’s hard to be specific. But a little observation may go a long way. As you sit at a traffic light and notice the car beside you, what can you identify about them that would enable you to pray specifically? Are they dressed for work? Do they have a family of stick figures on their window? Is a teenager driving himself to school? 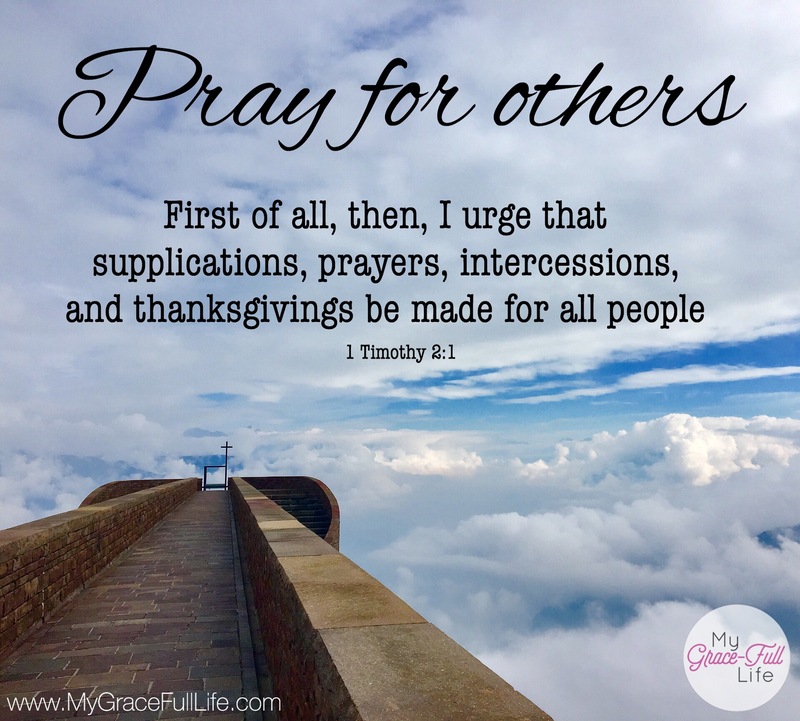 Today, as you pray, ask the Holy Spirit to show you how to pray for those you don’t know. And I ask you join me in prayers for someone I don’t know today: Proverbs 31 President, Lysa TerKeurst is having surgery. Please pray for total recovery.